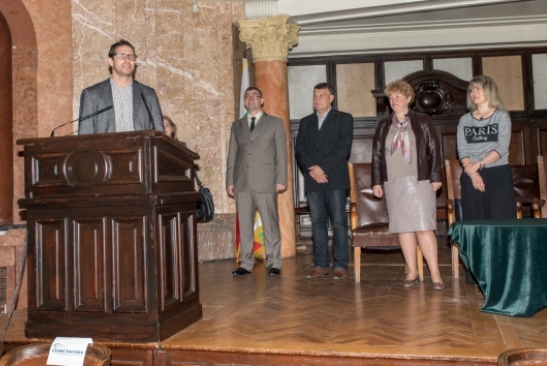 The Faculty of Classical and Modern Philology and the Career Center of Sofia University “St. Kliment Ohridski” along with Horizons Bulgaria organize the career fair “The Golden Apple of Success” 2016. The focus of the fourth edition of the fair are the students from FCMP and the Faculty of Slavic Studies at Sofia University “St. Kliment Ohridski”. Leading Bulgarian and international companies from all sectors of business – companies in the IT, telecommunications and BPO, consulting firms, advertising agencies, manufacturers, commercial companies, financial institutions, banks, NGOs and non-profit organizations. “Golden Apple of Success” 2016 enables each company, business or nonprofit organization to meet foreign language students, who apply for employment or training.